How Can I Benefit from a Charitable Remainder Trust? Sometimes it takes tough economic times and natural disasters to unite and bring out the best in people. Natural disasters such as hurricanes and earthquakes have served to bring communities together and impact the nation as a whole. Americans have given generously to rebuild communities and help local residents through these difficult situations. Many people have also responded to tragedies worldwide or have made donations to wildlife and environmental charities. And when we give, most of us simply give from the heart and do not always consider the financial implications. In many instances, there are ways to enhance the value of your gifts. The charity can receive a more substantial gift and you can increase your tax benefits. The charitable remainder trust is a popular estate planning strategy that could enable you to gift an appreciated property or security and retain an interest income for you and your family. Once your gift is put in a charitable trust, you may qualify for an income tax deduction on the estimated present value of the remainder interest that will eventually go to charity. Neither party will owe taxes on this transfer or upon the appreciation of the asset. The trust will usually sell the asset and reinvest the proceeds in an income-producing investment. You can receive this income in exchange for gifting the ownership of the asset to the charity. You will then need to decide how you would like to receive income. You can receive either a percentage of the value of the trust or a fixed amount. With a percentage allocation, your income will vary based on the current value of the trust. You can also specify that payments will be made only from income, if that is less than the unitrust amount in any year. You can also provide a “make-up” clause. If the trust is not able to provide the designated income for one year, the shortfall will be made up from income in a later year. Trusts that provide a fixed amount each year will not be able to take advantage of future growth or higher earnings of the asset, but they do offer consistent income even in a stagnating market. Choosing a trustee and clearly stating your intentions in the trust document and to the trustee are of vital importance. Once the trust is in place, it is an irrevocable instrument. Even if the charity does not receive any benefit for several decades, it will eventually assume ownership. In the meantime, the trustee is in charge of controlling the assets in the trust. Choose someone who knows how to handle financial matters and who will carry out your intentions. A charitable remainder trust may allow you to make a substantial gift to charity, avoid capital gains tax, and provide regular income for you and your family. 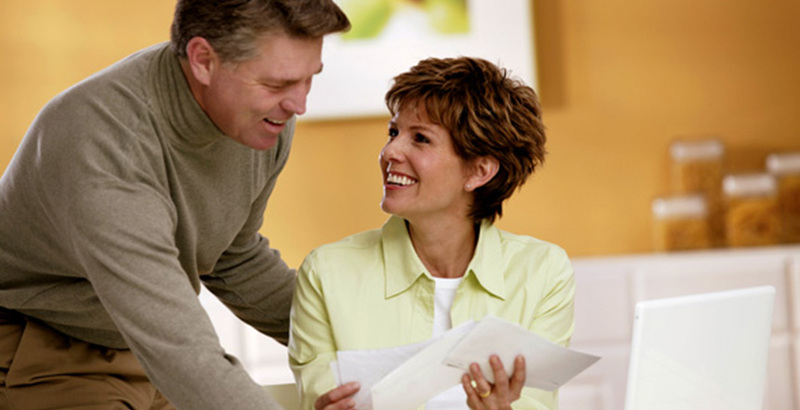 A noncharitable beneficiary is generally taxed on distributions. While trusts offer numerous advantages, they incur upfront costs and ongoing administrative fees. The use of trusts involves a complex web of tax rules and regulations. You might consider enlisting the counsel of an experienced estate planning professional and your legal and tax advisors before implementing such strategies. Securities and advisory services offered through Woodbury Financial Services, Inc. (WFS), member FINRA/SIPC. WFS is separately owned and other entities and/or marketing names, products or services referenced here are independent of WFS.